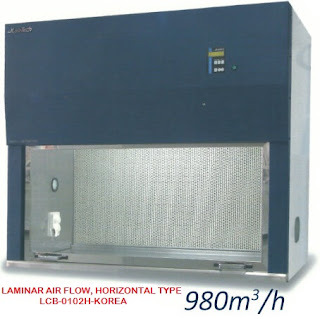 TRSW-CJ-1FD Vertical air Laminar flow cabinet Single-person single-side vertical air Clean bench/class100 laminar flow cabinet is a kind of clean bench widely used in medical treatment, chemical experiment, electron, precise machinery, instrument, apparatus, medical preparation, operating room, foodstuff, drinks, daily-use cosmetic, stock raising and aviation. 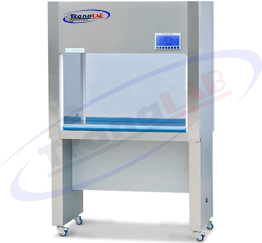 Single-person single-side vertical air Clean bench/class100 laminar flow cabinet adopts wind volume adjustable fan system, light-touch type switch and dual-speed voltage regulation device to keep wind speed in working area in ideal state. Single-person single-side vertical air clean bench/class100 laminar flow cabinet is the newest type bench in present market. The front cover may be opened directly for exchanging filter, electric components easily.